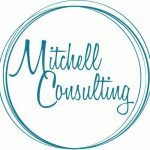 Mitchell Consulting, founded by Michelle Mitchell, is a virtual bookkeeping, accounting and consulting business helping small business owners since 2010. It offers services like bookkeeping, payroll support, book clean up, financial reporting and accounting. It is certified for QuickBooks Online and QuickBooks Desktop and can help in QuickBooks setup, training and troubleshooting.